Regus occupies over one thousand sq. meters in the Silesia Business Park office complex developed in Katowice by Skanska. Regus is an international company operating in the market of “tailor-made” offices offering co-working services along with virtual offices. 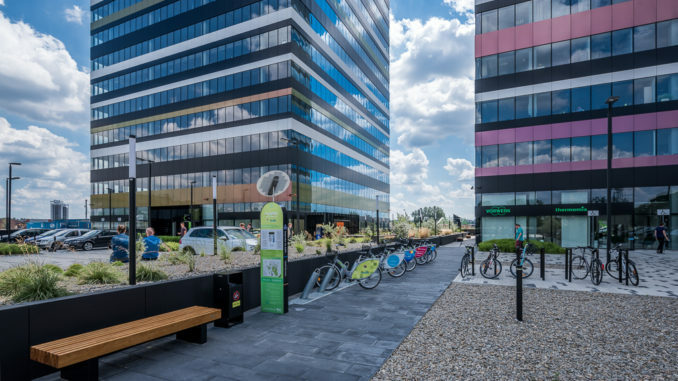 Why did Regus, a company that has already three thousand flexible working points worldwide, decide in favor of Silesia Business Park? – We have wanted to launch our office in Katowice for quite a while now. Silesia Business Park complex provides us with an excellent opportunity to further extend our portfolio in the capital city of Upper Silesia and, as a consequence, an ability to offer all companies and businessmen on business trips the possibility to utilize this “tailor-made” office space – comments Klaus Koponen, country manager at Regus Poland. Klaus Koponen claims that the business in Poland is developing at such a rate that there is a growing need to offer flexible offices and fully address expansions resulting from internal development of companies as well as the debuts of new investors on the Polish market. – Regus plays a crucial role in facilitating business development by offering access to flexible working space needed by all companies, regardless of size – Klaus Koponen underlines. On the fifth floor of building B of the Silesia Business Park complex (commonly referred to as Tiramisu due to its triple-colored façade), one can lease working places for a period of one year, one month or even a day. Furthermore, Regus provides an opportunity to book a conference room, room for business meetings as well as a single office desk in an open space area. All this is available 24 hours a day. – Numerous companies, representing various industries and with different growth dynamics, have already decided to launch their offices in Silesia Business Park. Thanks to the presence of Regus, they will have access to flexible office space which gradually becomes an increasingly important element of business development – says Marek Stasieńko, regional leasing director at Skanska Property Poland. Silesia Business Park will ultimately consist of four office buildings – each providing 12 000 sq. meters of office space. Three buildings have already been completed. The last will be delivered to market at the turn of Q3 and Q4 2019. The tenants of building B include companies such as Capgemini, Altium, Grupa Orbico and KSP Legal&Tax Advice law firm.